Qualified and participating brands can receive the ”Superbrands Award Seal” which is optionally used to symbolise their “Superbrands Status” on their advertising and marketing materials, website, packaging, point of sale material, internal and external trade messages, as well as online to show customers that they have achieved this recognition for their branding excellence. Many of the world’s leading brands have chosen to advertise the fact that they have received Superbrands status, taking large advertisements in major publications to do so. A certificate is also provided for display. 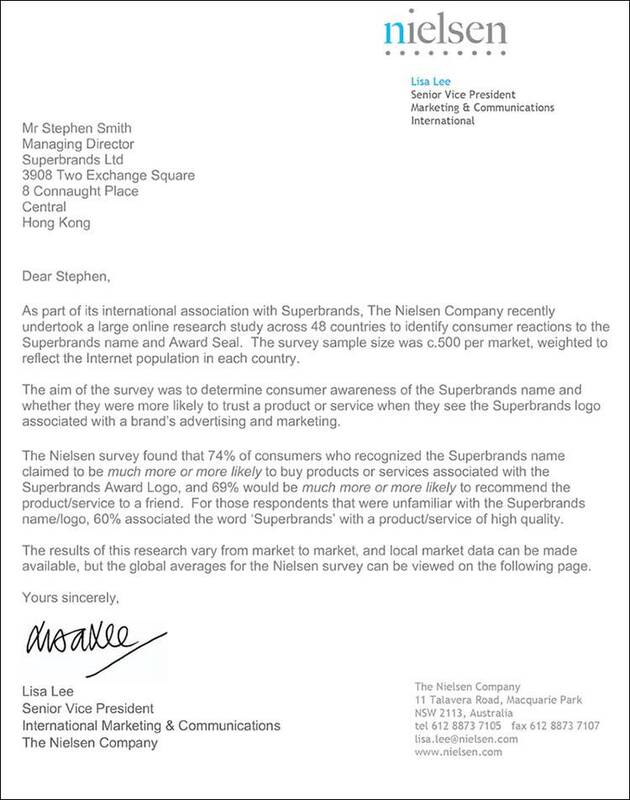 Research by Nielsen, Synovate, TNS and other international research companies have found that consumers are much more likely to purchase products or services displaying the “Superbrands Award Seal”.